I was a 1960s rock 'n' roller and The Supremes was one of my favorite groups from that era. Their sound epitomized Motown in the 1960s. I bought most of their 45s and some of their LPs during the group's heyday. One thing holding me back was my singing voice or lack thereof. It may have prevented me from performing as the lead singer of "Stana and the Starlites," but it did not prevent me from buying and wearing fabulous evening gowns. Occasionally, I even lip-synced while wearing one! Last week, Diana Ross, former lead singer of The Supremes, won a lifetime achievement award on one of those music awards shows that pop up on television about once a month. That moved me to peruse my iTunes library to see how well The Supremes were represented. I was surprised that my library was lacking in that regard. I had a few of their hits from some Motown compilations, but that was all, so I began shopping around to fill the gap. I ended up purchasing their album titled Gold, which contains 40 of their best songs, so that should adequately fill the gap. 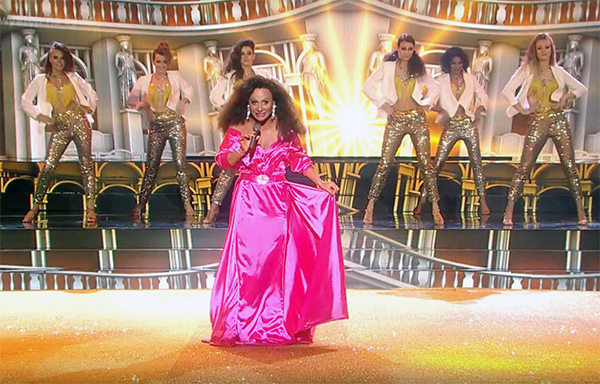 Coincidentally, I found another Diana Ross femulation on YouTube: Kacper Kuszewski performing "Upside Down" on the Polish version of television's Your Face Sounds Familiar. It rivals one of my favorite Your Face Sounds Familiar femulations, Jerzy Grzechnik performing "Baby Love." 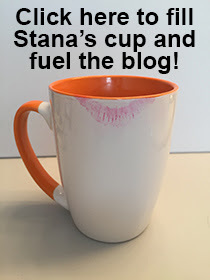 Dunno if you read the comments that readers leave on the blog, so you might have missed another excellent femulation on YouTube that Fernanda referred to a few days ago. The 1930 video in question featured professional femulator Reg Stone performing on stage for the British troops. Miss Reg is amazing! And in another video from the same show, Ravishing Reg joins a chorus line of Army gurls singing and dancing on stage. Fast-forward to the 21st Century... P!nk has released a new video for her song "Beautiful Trauma." In the video, she portrays a 1950s housewife and actor Channing Tatum portrays her husband. At the 1:45 minute mark, P!nk discovers Channing crossdressing in their closet. View the video to see the gender role reversal that transpires. By the way, this is not Channing's first time in a dress. Let me Google that for you. 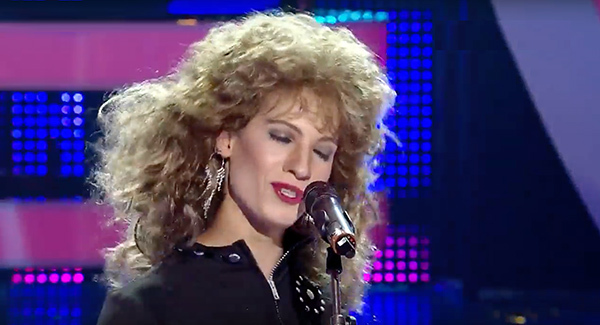 Sebastian Muntean femulates C. C. Catch on the Romanian version of television's Your Face Sounds Familiar. I suppose I could dress up as Dolly Parton. I have the hair with the same color as Parton along with the breasts. But I surely would need a corset. But when I sing I sound like Johnny Cash. Just imagine someone looking like Dolly Parton singing "Rings of Fire" and "Ghost Riders". A big dream fantasy for me was to be the keyboard player for the Bangles or Vixen, dressing the part of course.